This is something I had actually planned on doing a long time ago, but lost track of time. 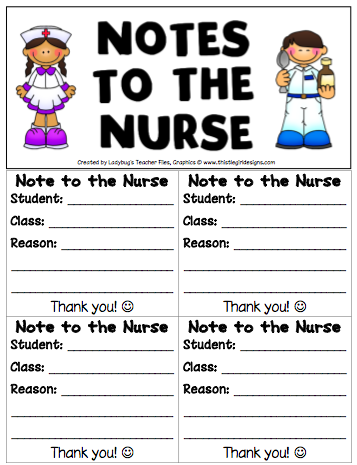 While updating some of my files this weekend, I happened upon my Notes to the Nurse again and decided to put my idea into action. This is in effort to save myself the precious time of racing to my desk to grab a pen and scrap of paper to write a note to the nurse. I plan on hanging this small sign right by my classroom door, with a pen attached, so I can just jot a note and send my student on his/her way. I’m actually printing this out as I make this post and taking a few pics of how I’m going to put the whole thing together. 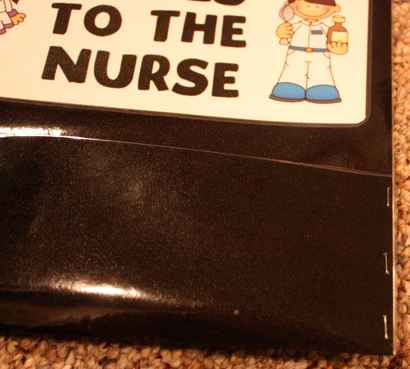 First, I cut and glued the sign onto some black paper. Then, I ran the entire sign through the laminator. To make a pocket for the notes, I folded the bottom of the sign. …it is wide enough to hold the notes and a pen. 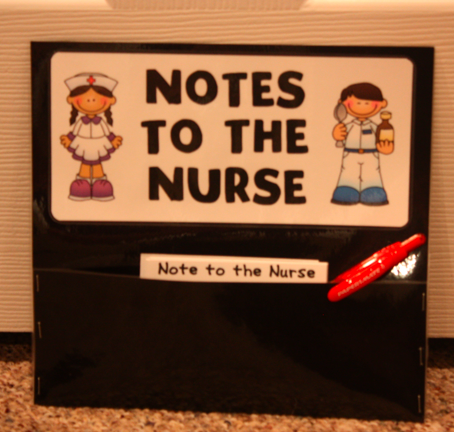 This should save a lot of time for those never-ending trips to the nurse! 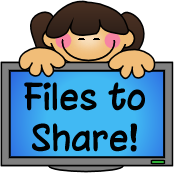 Please see below for the link to this file…I hope you will be able to use it as well. I made this, and the teachers love it! THANKS so much!! 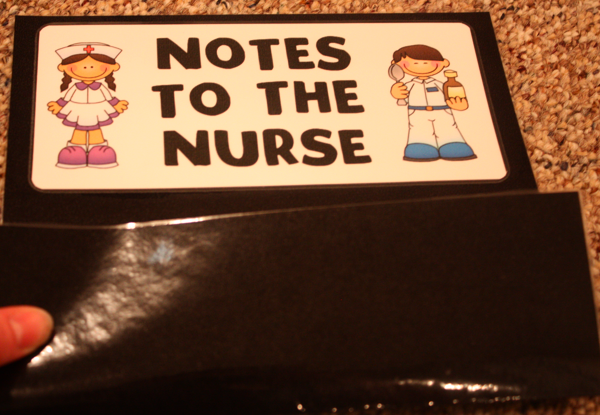 Cute notes and holder- thanks for sharing!